Growing Older With An Eating Disorder. Left: In Rome. Right: At a Buddhist Wedding. These pictures of me in my 20s make me feel wistful, but not because I long for my youth. In truth, my sadness comes from remembering my lack of appreciation for myself as a young woman. From the age of fourteen, I struggled with eating disorders that would often manifest during periods of distress. Regrettably, much of my youthful energy was spent exercising and dieting. I was fixated on trying to attain an idealized weight because I thought I could be happy once I was ‘perfect.’ If I could go back in time, I would give my younger self a big hug and unconditional love. I certainly needed it. Although it’s a difficult topic to discuss, I felt compelled to share my experience after reading a recent article titled, How Eating Disorders Impact Older Women: ‘The Changing Body is a Trigger.’ Often associated with young women, incidents of eating disorders in midlife women have been increasing steadily in recent years. Weight gain and body changes, along with other stressful events such as divorce, death of parents, and financial strains are common eating disorder catalysts. Additionally, the societal emphasis on thinness and youth may evoke feelings of invisibility and contribute to women's fears about aging. Some women experience eating disorders in adolescence or young adulthood and may have recurring episodes throughout their lives. 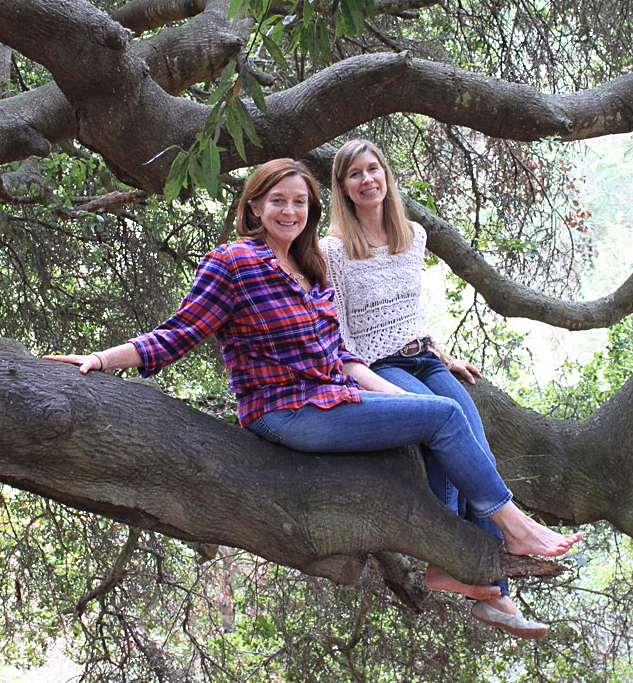 Other women may have their first onset in midlife or even later. How eating disorders develop is not entirely clear. Aimee Liu, author of Gaining: The Truth About Life After Eating Disorders, suggests, “Eating disorders are like a gun that’s formed by genetics, loaded by a culture and family ideals, and triggered by unbearable distress.” In looking at my own family environment, I was raised to be a perfectionist, and being ‘good enough’ was not an option. Moreover, I was expected to be cheerful and self-sufficient, even when I felt as if I were falling apart. As a consequence, controlling my weight via starvation diets and vigorous exercise became my way to cope with stress and anxiety. Sadly, these dysfunctional behaviors have been fairly constant throughout my life. Aside from weight and body shape concerns, eating disorders pose serious health risks. According to AARP, starving, binging and purging have detrimental effects on health and may lead to heart problems, gastrointestinal problems, damaged teeth, and osteoporosis. Older women with eating disorders suffer the greatest harm, as bodies become less resilient with age. Just as alarming as the physical damage is the fact that anorexia nervosa has the highest mortality risk among all mental health issues. According to the National Eating Disorders Association, people with anorexia have a 10 percent mortality rate at 10 years with the disease, and 20 percent mortality at 20 years. 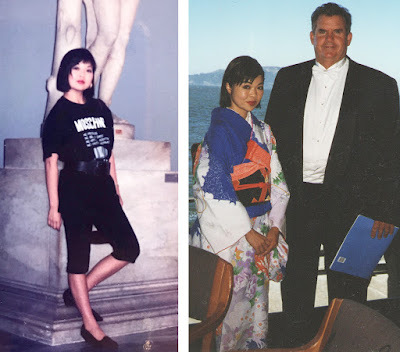 At 50, I am experiencing bodily changes and finding I no longer fit into much of my wardrobe. Still, I have learned to be much kinder and accepting of myself. Recognizing that eating disorders can be reignited at any time, daily self-care is a priority. For many years, my eating disorder was a dark secret. I rarely, if ever, acknowledged that I even had it. Now I wonder if any women I know might be struggling with similar challenges? For readers who are in midlife and/or going through menopause, how do you feel about changes to your weight and body shape? I would be interested in hearing your thoughts and experiences. Thank you for reading my post. Towards the end of his life, my father was left debilitated by stroke and vascular dementia. To keep his spirits high, I would find activities we could enjoy together, such as listening to music, singing and reminiscing. In looking back, those moments were magical and made us feel happy. 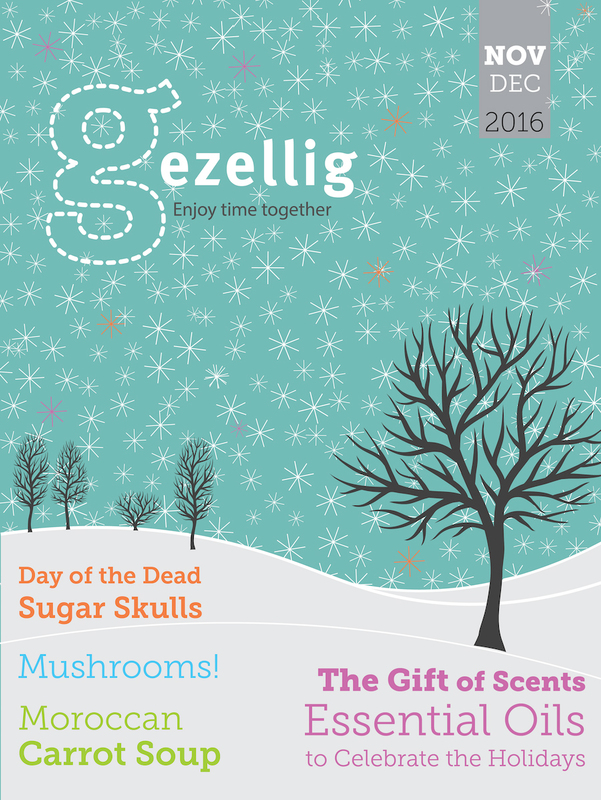 Very recently, I learned about Gezellig Magazine, a digital publication filled with an array of creative activities for older adults and care partners to enjoy together. The brainchild of Debora Tingley and Patricia Ris, organizers of the Memory Care Café in the San Francisco Bay Area, Gezellig Magazine is visually beautiful and warmly inviting. Browsing through the pages, I was captivated by the contents. Needless to say, I'm delighted to share an interview with Debora and Patricia who discuss their magazine and their inspired ideas. 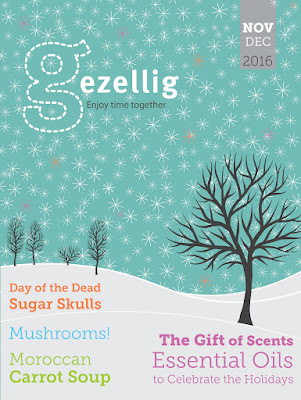 What inspired you to create Gezellig Magazine? We wanted to create an extension of Memory Care Café, as thousands of people in San Francisco are living with memory loss but we could only reach a small, mobile segment of that group. Both of us have wanted to create a magazine as a resource for aging people, so it felt like a natural thing for us to do together. There are very few (if any) similar products available at this time. Gezellig is a very common Dutch word. It evokes a sense of good circumstances and feelings, a kind of coziness, friendliness and homeyness. Gezellig often means being with others, in good company. The atmosphere of a place can be gezellig, and a home can be gezellig. Gezellig Magazine aspires to bring this idea and feeling into day-to-day life. Where do you get the ideas for your wonderful activities? This is one of our favorite things to do! Before we started the magazine, we found it very easy to come up with a year’s worth of topics and were able to outline our six issues in a matter of weeks! That flow likely has to do with our complementary strengths and our aligned passion for supporting care partners. In terms of topic choice, we’re not so interested in traditional fare, but look for new activities that we’d like to do ourselves, or share with our parents and friends. Seasonal topics are important to bring the outside world in, and to help with awareness of the world around us. Of equal importance are new trends, contemporary approaches and hip topics. Our recent articles include creating personalized emojis and Be Your Own Radio Show Host, about making personal playlists, and these two examples reflect typical interests of our readers. Are there challenges in creating activities for elders and care partners to share together? If so, could you give some examples? To appeal to our diverse audience, we created seven categories of activities to highlight different areas of interest. Within these categories, which are listed below, we offer as much variety as possible so that the activities may appeal to people from all walks of life. Each magazine article incorporates various levels of participation. 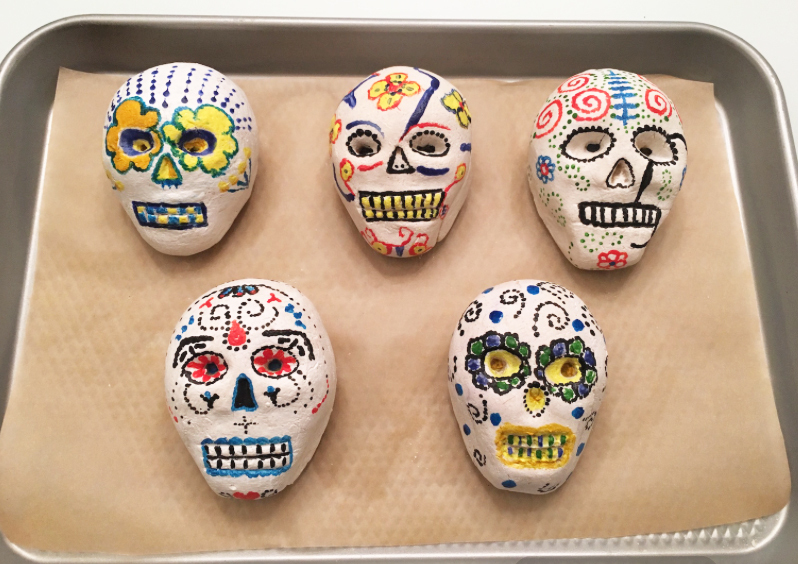 The Day of the Dead Calaveras (Skulls) making in our November/December issue, for example, offers both easy and more complex versions of the recipe. In addition, conversational material is included, in case the “doing” is not possible. 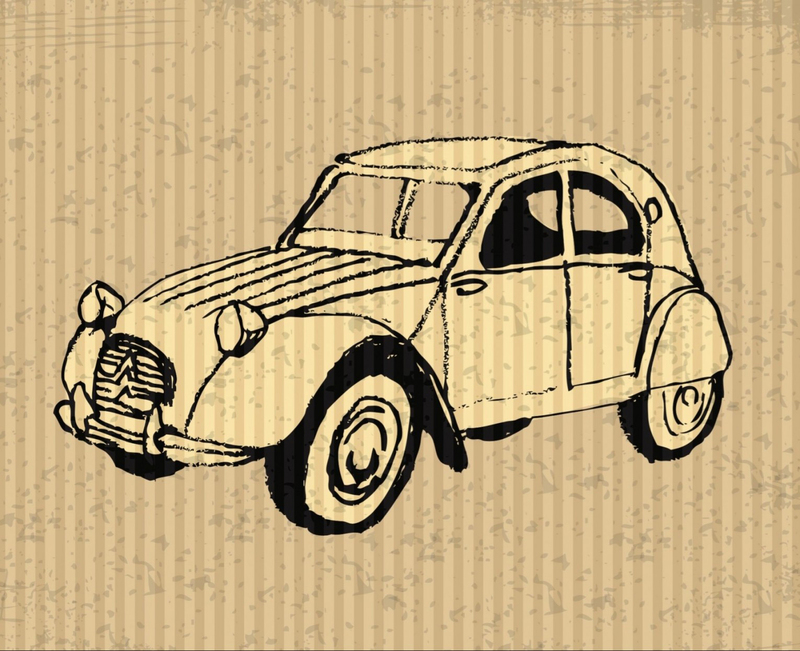 In our free issue, we have an article titled Car List Poetry, about creating a poem. This activity can be enjoyed in a question and answer style, but it also lends itself very well to individuals composing their own poetry. 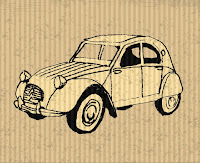 Mary Beth, a reader from San Francisco, commented: "I loved the line poem about your Deux Chevaux. Lots of memories of hitch-hiking around France in those cars. Glad you put the front-door handle in the right place for the vintage I remember." The main idea is to help people find what’s appropriate for them and not put them in a box about what they can or cannot do. People experience good days and bad days, and cognitive challenges (especially) vary greatly in one individual from day-to-day. That’s why we create our activities with the highest possible level of participation in mind, along with adaptations for specific needs woven in. The challenge is figuring out how to present options for different levels of ability in a way that is clear without discouraging people from trying something outside their perceived abilities and/or comfort zones. What are some initial responses to the magazine? How can people contribute ideas they may have? We welcome contributions from readers and also from professionals. For example, healthy cooking expert Rebecca Katz generously contributed one of her favorite soup recipes, Moroccan Carrot Soup from her most recent Clean Soups cookbook. An article on making this soup is included in our current November/December issue. (Note: A link for the recipe is included at the end). For readers, we have an invitation at the end of almost every article to share thoughts, send pictures of what they’ve created, or to send us their ideas through our gezellig community webpage. In January 2017, we will have a forum where care partners can share lifestyle ideas with each other--another opportunity for readers to take the helm and create a real, gezellig community to thrive in!